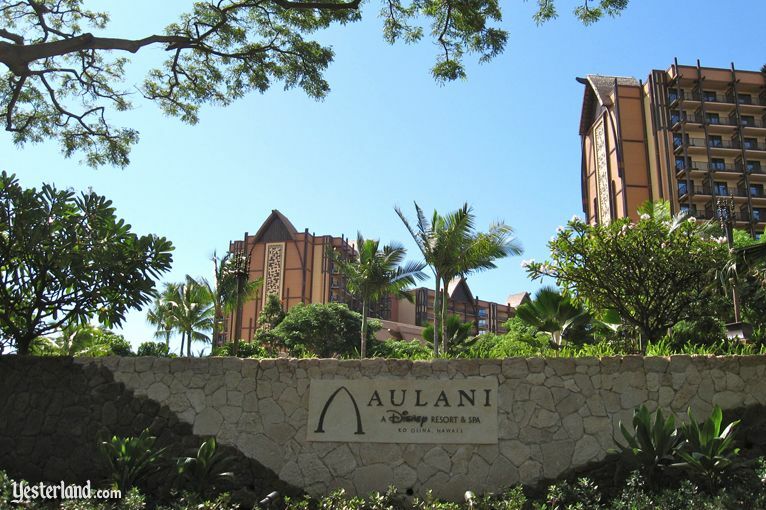 In a series of articles, I’ve followed Aulani from when it was just a vacant parcel of land (and had no name) until its grand opening on August 29 of this year. 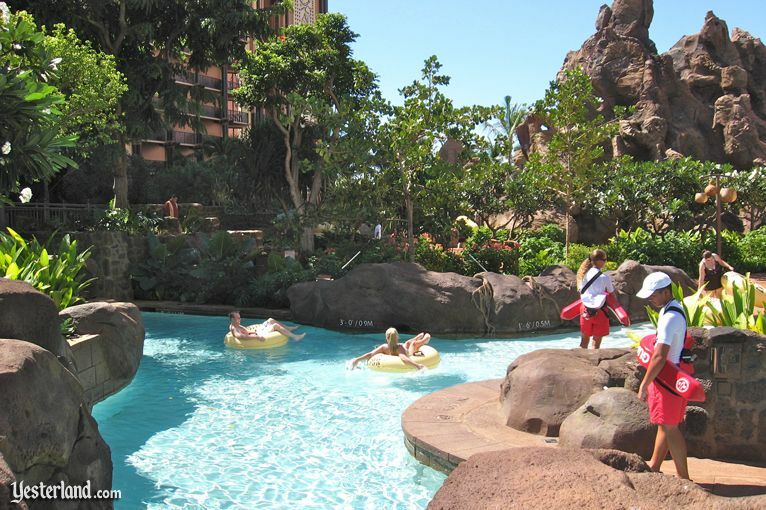 A few weeks ago, Yesterland reader Kate Carey visited Aulani while staying at a nearby resort. Kate sent a terrific set of photos to me. She also shared her observations. Werner Weiss: Aloha Kate! Thank you for the great photos. 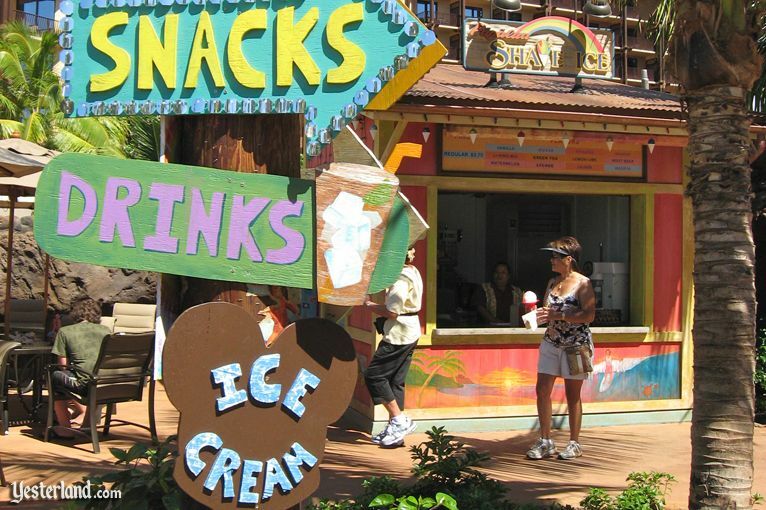 They provide a real taste of what its like to wander around Aulani. 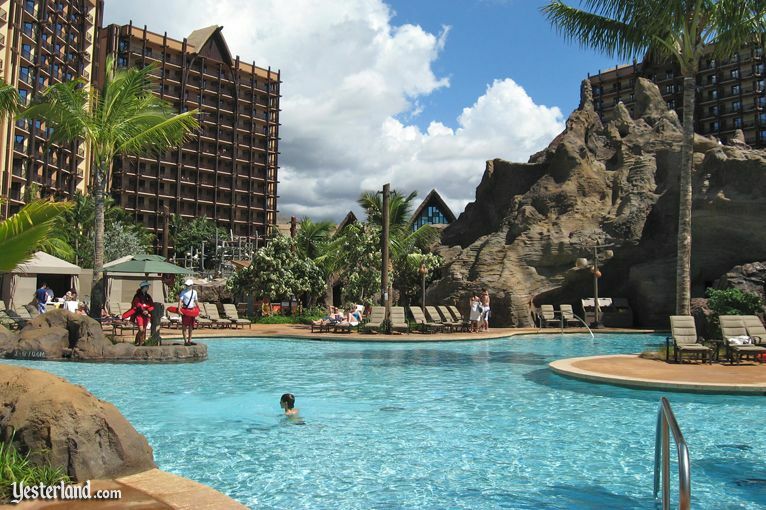 What were your impressions of Aulani? What was it like to arrive there? Kate Carey: Aloha Werner! Aulani is not readily seen from street level. It is perched high on top of a hill with a series of switchbacks leading to its portico. 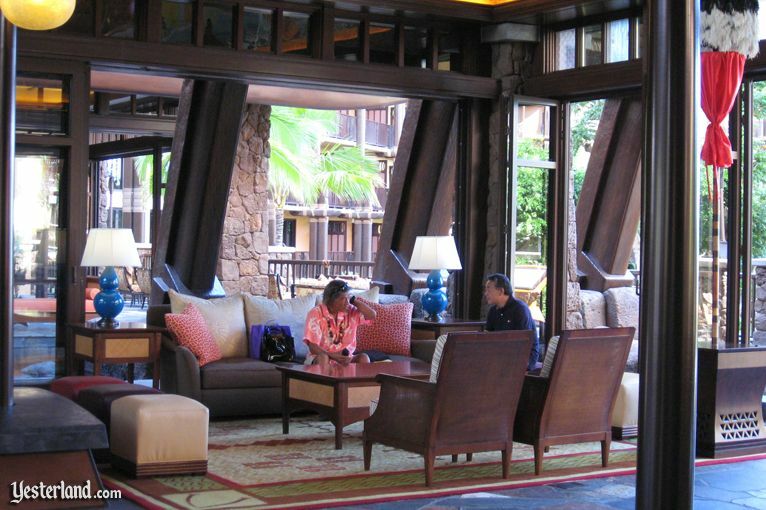 It bears a striking similarity to Disneys Wilderness Lodge, not only in the main entry but in the pool area as well. WW: To me, the photos give a different impression than the Wilderness Lodge, except that both resorts come across as highly immersive environments. WW: You werent staying at Aulani. Did you feel welcome just visiting? KC: I found the cast members to be friendly and eager to help. I was greeted by one of the hostesses and offered plumeria for my hair while snapping photos at one of the restaurants. They made me feel most welcome. WW: Speaking of restaurants, what did you see? KC: There were several restaurants on the property, but I saw a menu for only the buffet. I had to ask, as prices were not listed—$40 for the dinner buffet. The food offerings looked substantial, but the restaurant was nearly empty. WW: The number they quoted you is too low. 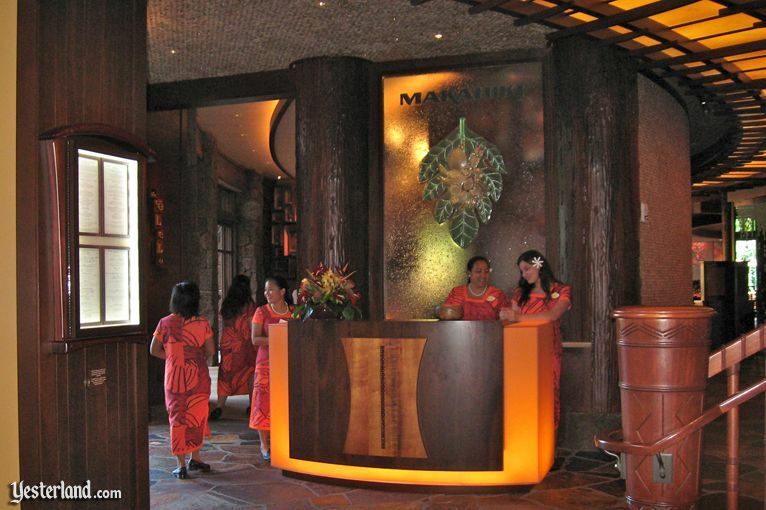 The Makahiki dinner buffet is actually $43 plus tax and tip for ages 10 and up. For children—keiki—9 and under, its $21 plus tax and tip. 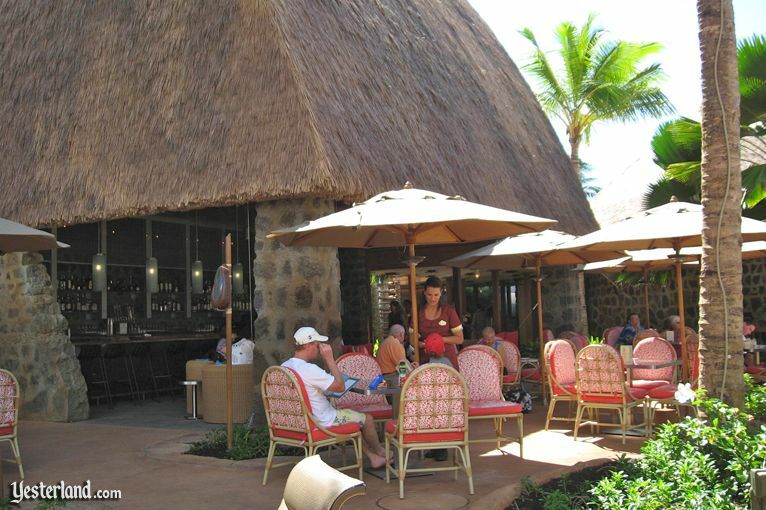 KC: ‘AMA‘AMA is another choice that has a really beautiful setting with beachside tables overlooking the lagoon. 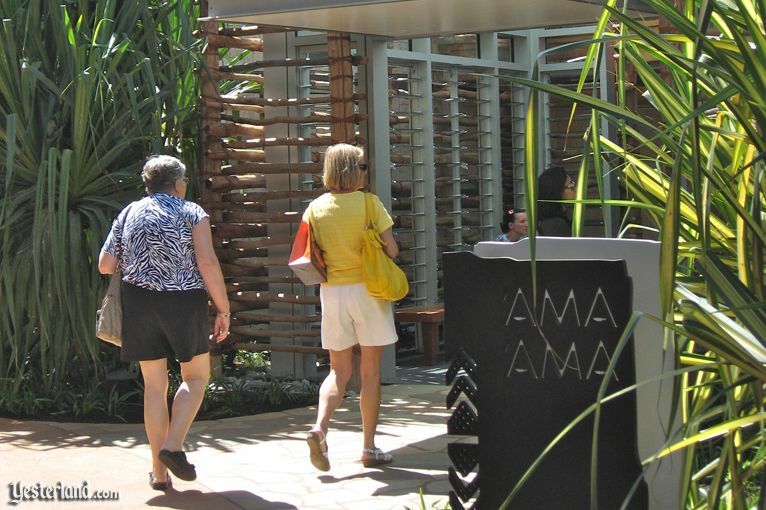 If I were going to eat at Aulani, ‘AMA‘AMA would be my choice. 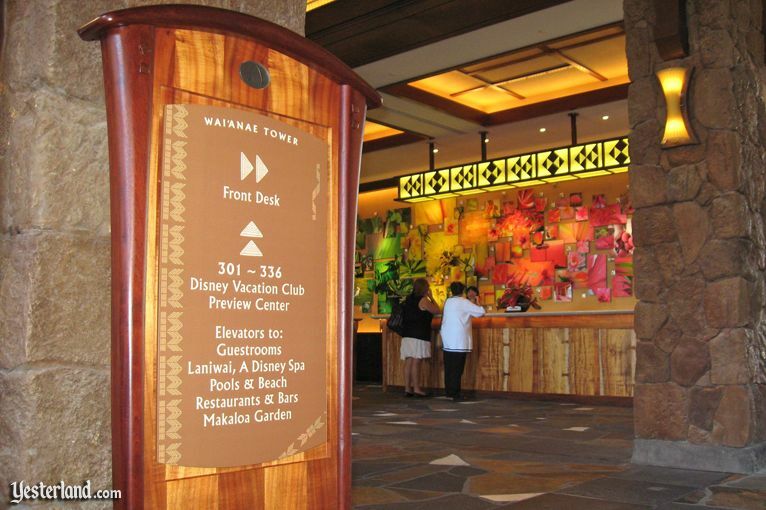 WW: Do you have any observations about the resort store at Aulani? 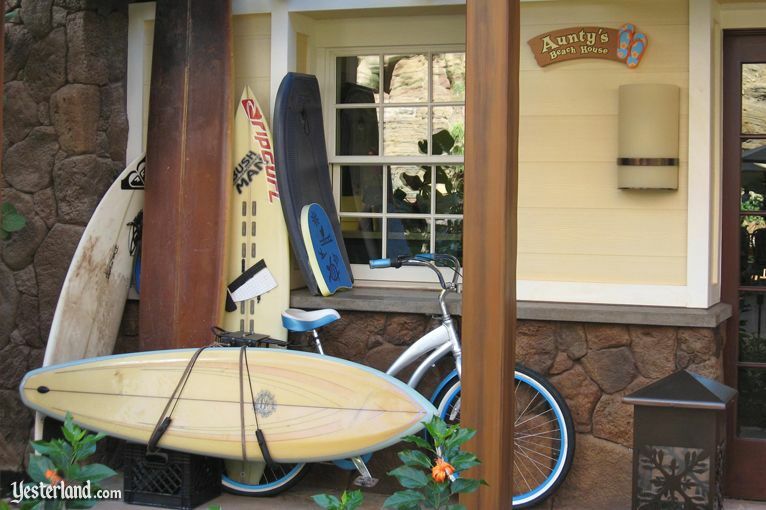 KC: The Aulani logo is certainly difficult to miss in Kalepa’s Store. 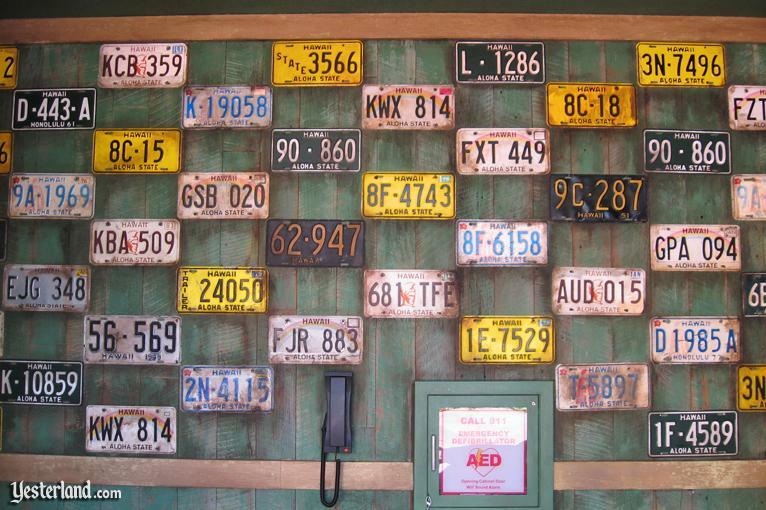 It can be found on all the typical souvenirs from t-shirts and mugs to the sales racks and displays. 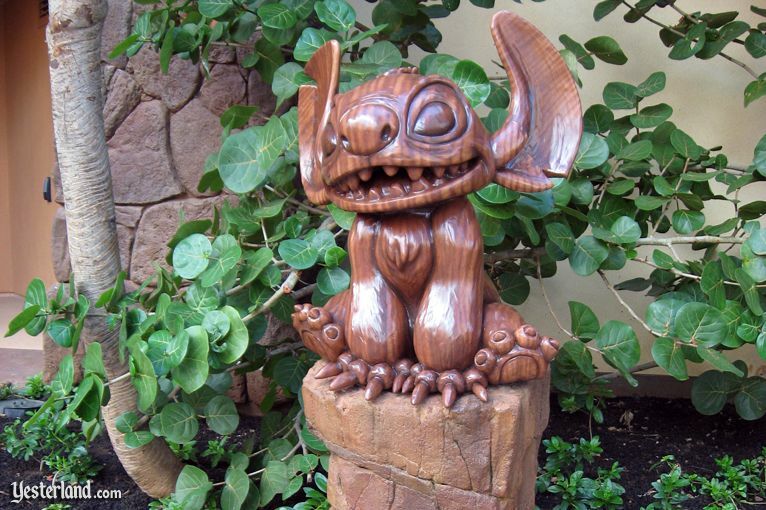 However, if you look above and beyond the merchandise you’ll see that Disney has picked up on another classic Hawaiian tradition. 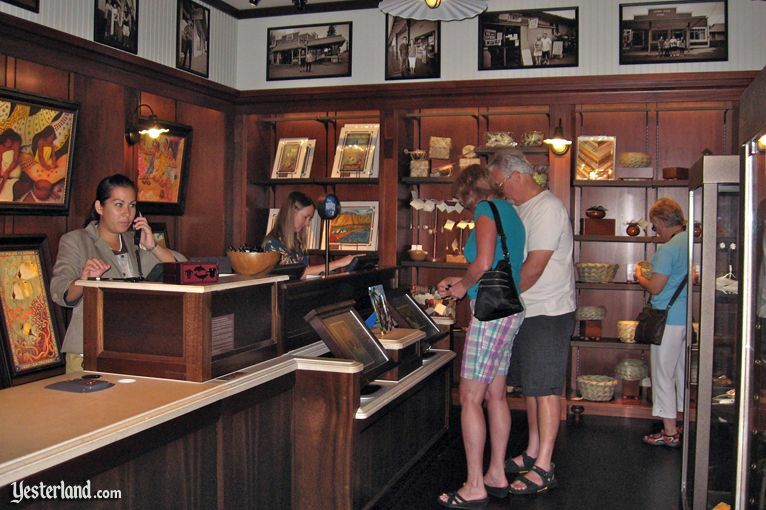 Vintage black and white photographs of “Old Hawai‘i” line the walls above the merchandise display areas to give the feeling of a long established, traditional Hawaiian shop. WW: How about the pool area? KC: The pool area had a very nice layout. The big water slide reminded me of the Wilderness Lodge pool and also Splash Mountain. You could view the lazy river from the balcony above the Makahiki buffet restaurant or from the patio tables themselves. There are bridges and walkways throughout, and the gardens and grounds are (as expected from Disney) just beautiful and impeccably maintained. WW: It looks great in the photos. KC: Like every child’s dream, the water features are too numerous to count, but I’ll give it a try. There is, of course, the lazy river. I can’t believe the incredibly large number of lifeguards strategically placed here. Safety seems to be the name of the game. It seemed to be slow and meandering rather than fast and furious like Typhoon Lagoon, but this is Hawai‘i, not Walt Disney World! Next, a zero-entry pool, which in my opinion, seems much too small to accommodate everyone when the resort will be at capacity. 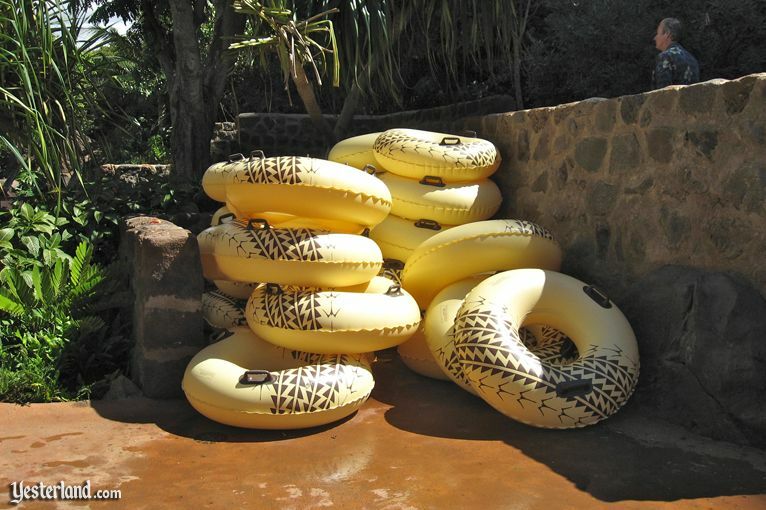 It may also become increasingly difficult to find a pool chair when that time comes, but… there are two water slides, one for the little ones and another for everyone else, along with a splash park play area with buckets and bridges and countless ways to get wet! So, overall, it seems very family- and kid-friendly. WW: Did you see guests in the Rainbow Reef snorkeling pool? KC: Yes. Rainbow Reef looks like a great, safe way to introduce the little ones to snorkeling. 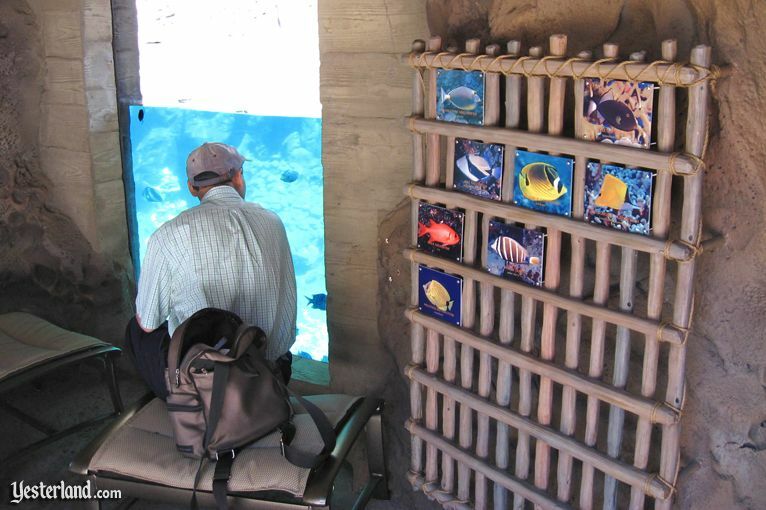 There’s also a perfect viewing area if you’d like to see the fish without getting wet or the extra cost of snorkeling. WW: That all sounds like a high level of activity. Is there an option for someone who wants to escape from all that? KC: You’ll find the quiet pool over on the other side of one of the guestroom towers. They called it the Wailana Pool. I think that means “serene water.” It was just that—serene—and beautiful, but it was empty and looked like no one ever used it. It also had its own pool bar housed in a tiki hut. From this pool and pool bar you’ll get a pretty good glimpse of the lagoon. WW: What else did you see? KC: Back in the main area overlooking the beach and lagoon is a delightful double-tiered hot tub. This was pretty popular as during my short visits it was always occupied! WW: I liked your sting ray photo. KC: There was a family having a great time at the Makai Preserve. 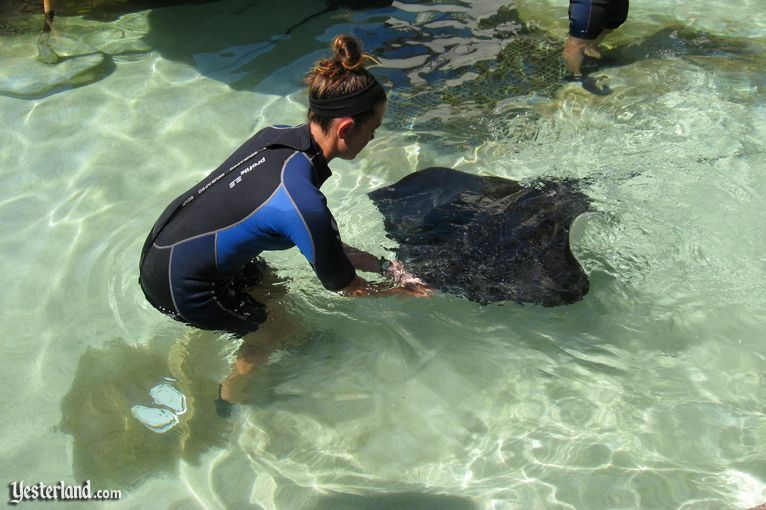 They had an opportunity to feed and touch the sting rays. I had fun too… and I was just watching them! 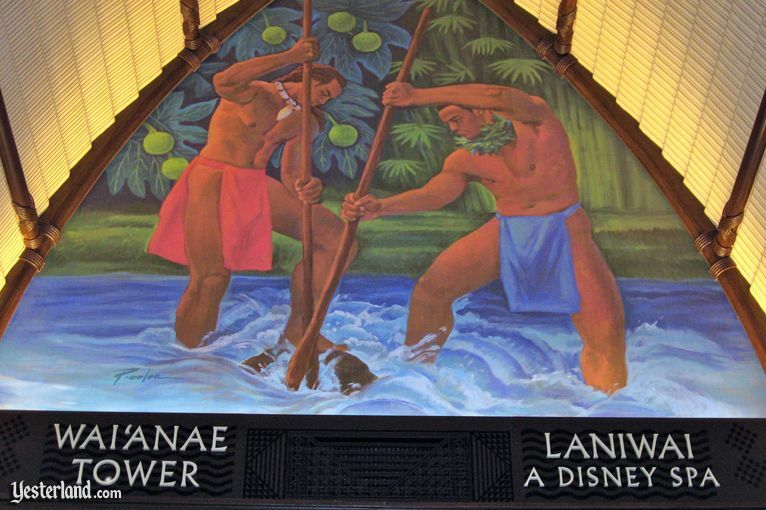 WW: Its a Disney resort, but so far youve barely mentioned anything about Disney at Aulani. KC: That’s because it apparently is so understated that you’ll have to look quite closely to find it. WW: You had photos of Disney characters. 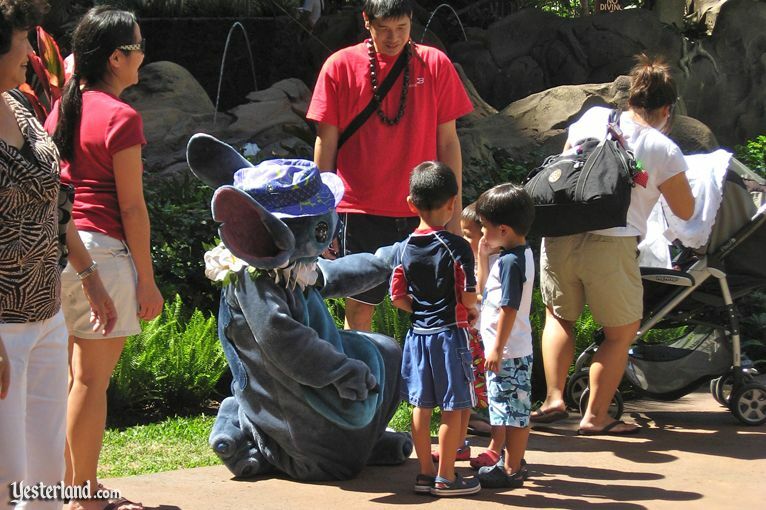 KC: Character meet and greets are the only things that really stand out as being Disney rather than immersion in Hawaiian culture. These are rapid, scheduled events that occur several times throughout each day and are definitely not for the faint of heart. 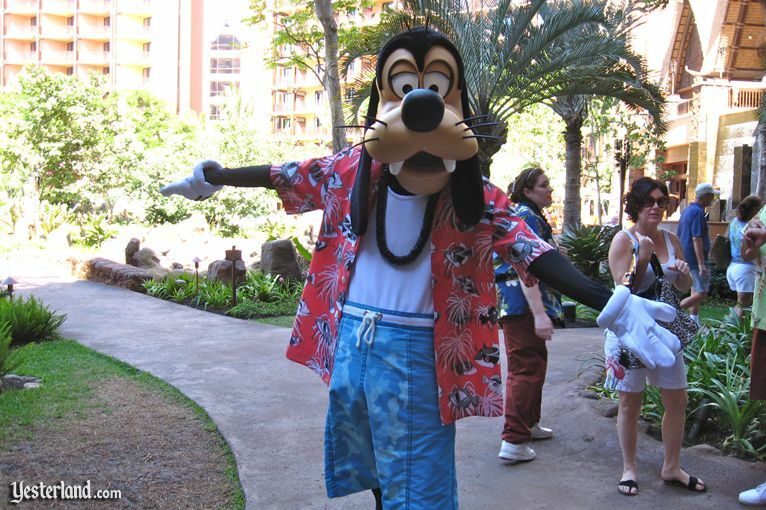 I experienced my own meeting with Goofy and watched as another family was “greeted”. The whole scenario takes about three minutes at the most! Definitely much too rushed, as at Magic Kingdom, and not casual Hawaiian. WW: Did you see hidden Mickeys? KC: I’m quite sure there are Mickeys hidden everywhere, but, sorry to report, I didn’t find any. WW: I liked the fish mailbox photo. KC: Aunty’s Beach House is a children’s activity center (as if there isn’t enough to do!). 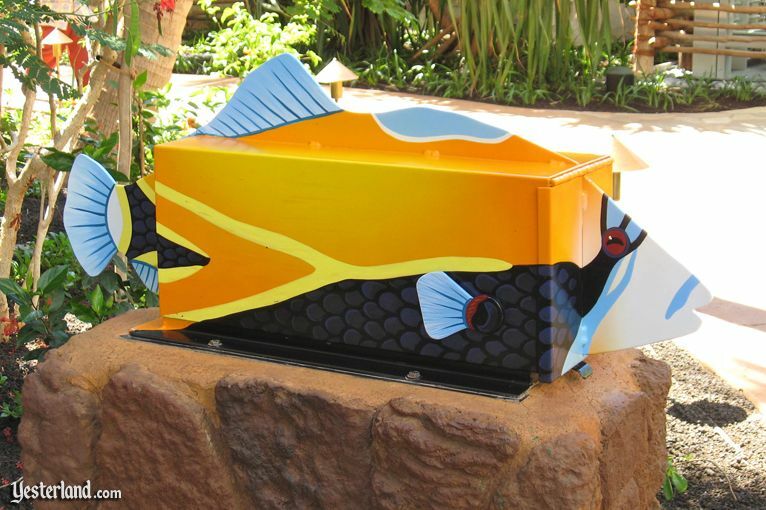 The photo of the fish mailbox is in front of Aunty’s Beach House. WW: Your photos are all daytime photos, but your visit lasted into the evening, right? KC: Yes. Evenings bring traditional Hawaiian music to the pool area, and the outdoor lighting adds to the ambiance as well. There’s a story teller entertaining guests at the fire-pit on the patio adjacent to the Off the Hook poolside restaurant. WW: It seems you liked Aulani a lot. 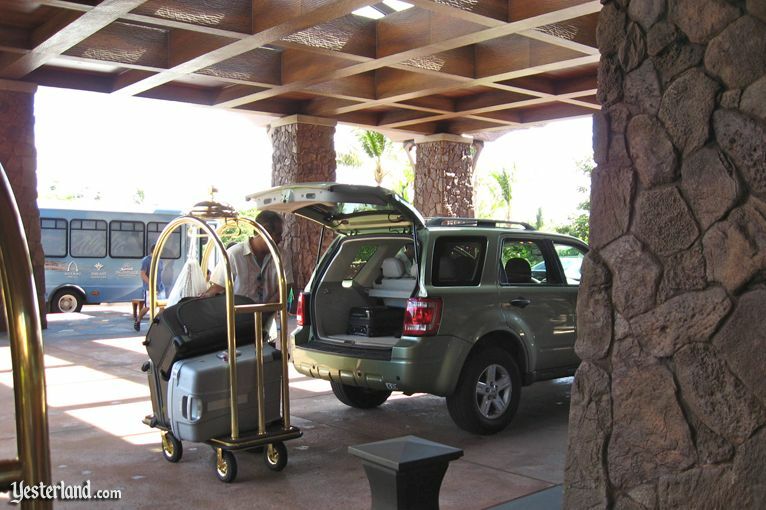 WW: I know Im looking forward to checking in at Aulani as a resort guest someday too… Mahalo for your photos and observations! All photos by Kate Carey, October 2011.